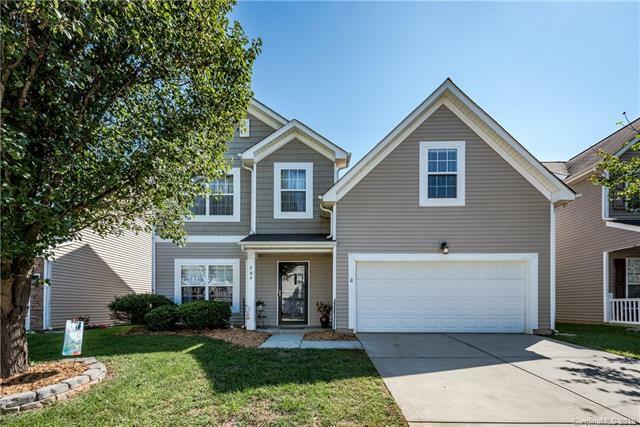 Gorgeous 2-story home in Villages of Wesley Chapel! This 3 BR + Bonus Room / 2.5 BA home has it all ~ Open floor plan and loaded with upgrades!! Beautiful wood floors and crown molding throughout the main level! Gourmet kitchen featuring upgraded cabinets, granite countertops, tile backsplash, stainless steel appliances and center island! Great room with gas fireplace! Formal Dining room with tray ceiling! Large Master suite has vaulted ceiling, walk-in closet and spa bath with garden tub, separate shower and dual sink vanity! Spacious secondary bedrooms plus a Loft-style bonus room with built-ins that could be turned into a 4th bedroom! Interior freshly painted upstairs! Upgraded light fixtures, ceiling fans and door hardware! Tile floors in all bathrooms! Huge awesome deck across the back of the home is perfect for entertaining! Private fenced rear yard with trees and landscaping! Finished 2-car garage with added storage! Community pool and playground! Don't miss this one!